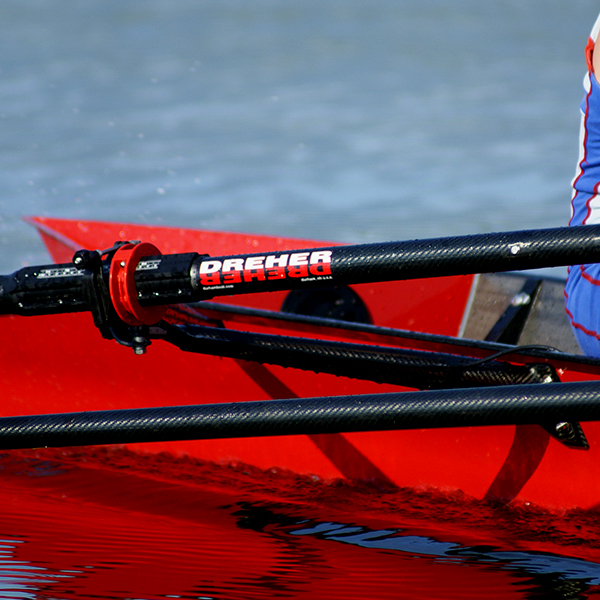 The Design: The Dreher ultra-stiff carbon tubular riggers are equipped with a carbon “cup-shaped” oarlock holder that directs all the force during the drive straight down the centerline of the carbon rigger back support of the two stay rigger system. There is no twist of the oarlock during the drive. Thus, the propelling forces, especially from the “catch” to the “stroke perpendicular”, are translated through this concentric design to maximize boat speed and to minimize force dissipation through rigger flexing. Latest D esign Innovation – Hollow Wing Rigger: In addition to the carbon tubular side mounted rigger, we offer a lightweight hollow carbon wing rigger. 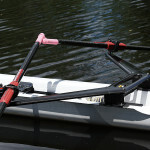 This rigger replaces the top-mounted carbon tubular. The top-mounted hollow wing was introduced in the Fall of 2014. 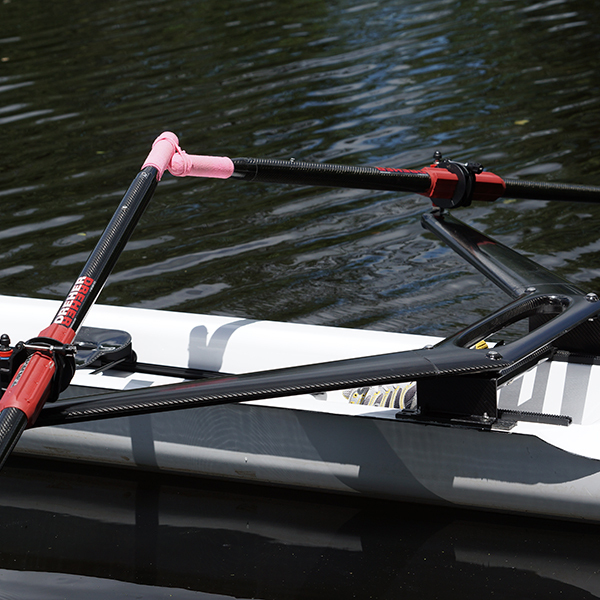 This rigger is very stiff and sports a lightweight aerodynamic foil shaped design. It also makes it easier to adjust the foot stretcher. The cutaway section is a design that improves stiffness while at the same time reduces weight. This stern mounted wing allows better access from high docks or for easy access in the case of “flipping”. 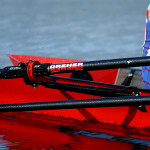 This carbon wing rigger is offered on the Rec-Racers and FISA Singles. This carbon-rigger can be installed on Stämpfli singles that we sell in lieu of the Aluminum wing rigger that will come with it unless the carbon alternative is ordered at the time of the deposit. In order to get this rigger on your Stämpfli is must be specified at the time of order. This rigger can be provided with a carbon back-stay if desired. In most cases, this is not needed because of the FEA assisted design of the Dreher hollow wing rigger. 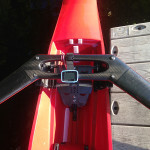 The Carbon Wing Rigger design results in a 2 to 3-pound reduction in the weight for racing shells that are presently equipped with Al wing riggers.